In October 2009, I attended my first Soul Healing & Enlightenment Retreat. I was so excited to attend my first ever retreat with Master Sha. On the first day of the retreat, my mother called me, with an urgent tone in her voice, that my cousin was in intensive care, and had lost her twins due to complications in her pregnancy and that the doctors had prepared her parents that she would also transition soon, as her condition was very severe. My heart felt very heavy. The workshop started soon after. As an opening to the retreat, Master Sha offered a Soul Song Blessing. He asked us to make a request for a blessing. From my heart, I requested that my cousin be healed; not expecting what was to come. When she woke up, she shared that she saw a saint next to her bed and was asking where she was. Her parents were simply overjoyed. The doctors were totally stunned and could not understand what occurred. What occurred was a Soul Healing Miracle through Master Sha's Soul Song blessing. 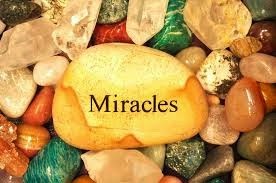 There are thousands of stories of soul healing miracles reported, many thousands have not been. To be in Master Sha's presence, in every moment, is to be in the presence of the highest Saints, Buddha's, the Divine and all layers of Heaven & the Source. Take every opportunity possible to be with Master Sha on any teleconference, webcast, event or retreat. There are no words for my gratitude to Master Sha for saving my cousins life. Now she has a beautiful daughter. Her life was saved. Thank you, my most beloved Spiritual Father & all Heaven. Dearest Terry, your messages deeply touch my heart and soul. Thank you, Thank you,Thank you. Simply wow! This is totally amazing and an incredible example of a Soul Healing Miracle! Thank you so very much for sharing this Master Maya! Soul Light Blessing For Your Soul Journey.